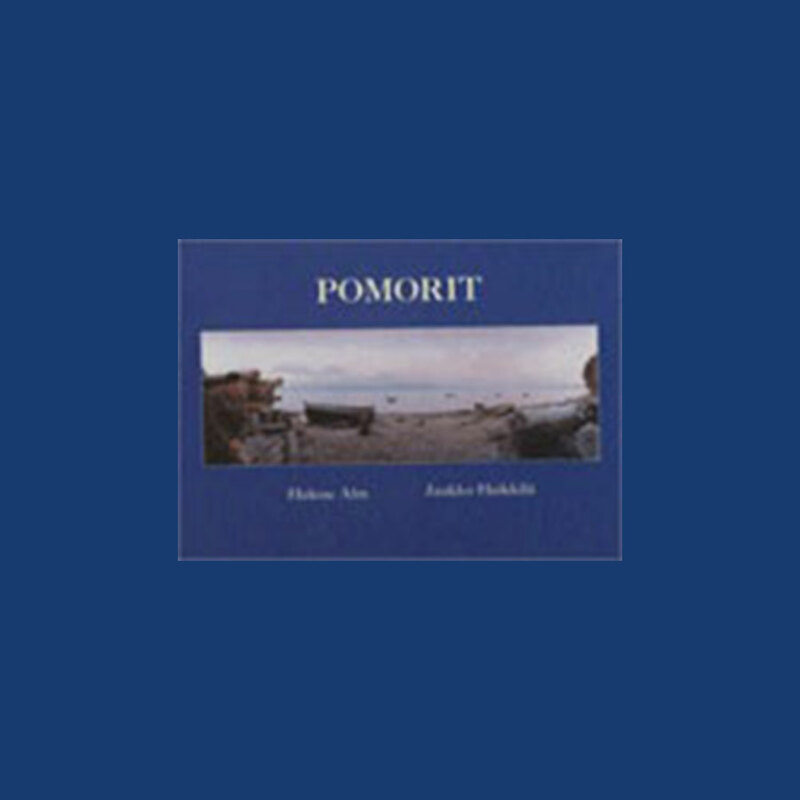 Art Consulting Scandinavia:Heikkilä, Jaakko: POMORIT. This is a book about Russians who live by the White Sea Coast. They call themselves “pompors”, that is “po morye”, which means “by the sea”. They are known for being proud and selfreliant, they never were serfs, on the contrary, their ancestors were farmers and soldiers that fled from serfdom and oppression in the principalities of Russia. Helene Alm and Jaakko Heikkilä have traveled to some of the pomorvillages and met an openhearted, hospitable people, who also have suffered from Soviet oppression and still struggle to survive the day. We meet sealhunters, schoolteachers, haymakers; ordinary people, yet all with their own personal history and memories, which they share with us with the mixture of bitterness and humour that is so typical for Russia.